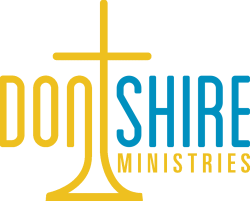 Don Shire Ministries operates a children's home in Port-Au-Prince, and also works with local churches, orphanages, and schools to provide support, food, shelter, medical care, and education for these children. The facility currently being used for the Jehovah Rapha House. Founded in July, 2012, Jehovah Rapha House focuses on caring for mentally and physically challenged children. Run by Pastor Jean Phillipe Dare and his wife, Madame Yphosia Dare (who is a nurse), JRH is currently at maximum capacity caring for 31 children. In Haitian culture, disabled children are generally viewed as a curse, and they are frequently abandoned and left to die. It is our hope to be able to build a larger facility in the near future so that we may help a greater number of children and challenged adults. Some of the challenged children are literally thrown into dumpsters by parents who can not or will not care for them any longer. Jehovah Rapha House depends on a sponsorship program to help meet the monthly financial needs.